Here has everything you want! Come on, friend, take your imagination and creativity, nothing is impossible! 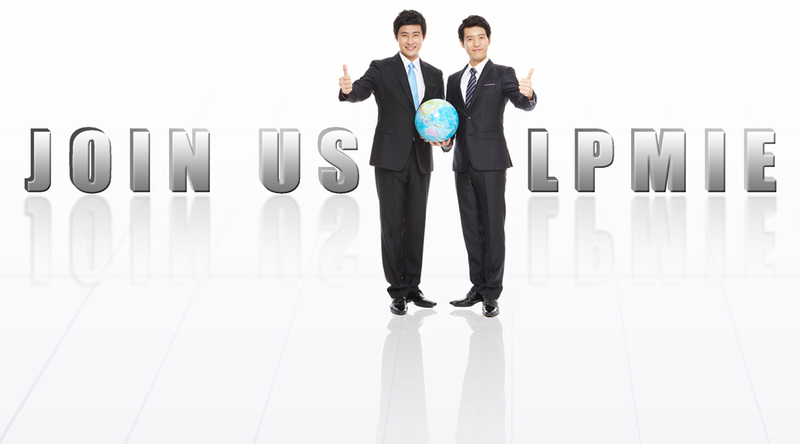 LPMIE sincerely invite you, growing together! 1. Full - time undergraduate degree or above. 2. Skillful in English listening, speaking, reading and writing, especially in oral language. 3. Skilled operate of word, excel and other office computer software. 4. Working careful and meticulous, strong sense of responsibility, quick thinking, with excellent business negotiation and consultation ability. 5. Engaged in foreign trade team construction and management of relevant experience. 6. Working Location: Liaoyang Liaoning. 2. Skillful in English \ Japanese \ German \ Russian listening, speaking, reading and writing, especially in oral language. 3. Skillful in operate of word, excel and other office computer software. 4. Working careful and meticulous, strong sense of responsibility, quick thinking, with excellent business negotiation, consultation and communication ability. 5. Strong ability for new- customer and marketing development, engaged in foreign trade related work experience. 6. Working location: Liaoyang Liaoning, Qingdao, Shandong. Full - time undergraduate degree or above. Professional major in mechanical manufacturing, process equipment and auto-control or related. Skillful in operate of word, excel, CAD or CAXA and other computer software. Working careful and meticulous, strong sense of responsibility, quick thinking, with strong ability of drafting and proofreading for mechanical drawing and sketch. More than 3 years relevant working experience. Working location: Liaoyang Liaoning, Qingdao Shandong. Familiar with the company's products. relevant sales experience, business contact and connection relationship in foreign countries and regions. Complete company sales target on schedule. Strong ability for marketing development and teamwork cooperated spirit.